If you read yesterday's blog post, you know that I have already declared it to be FALL! Around here the start of this season means tweaking the dinner menu a bit! 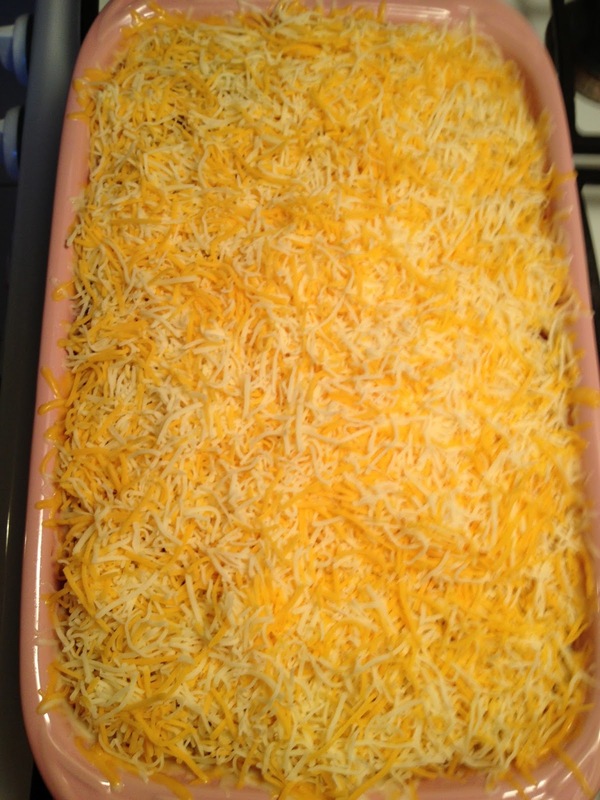 During autumn and winter, I tend to make a ton of casseroles and crock pot meals. 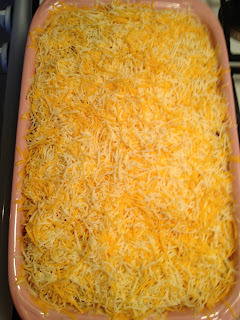 Casseroles of all kinds are on the menu often because they are easy and make enough for us to have leftovers! 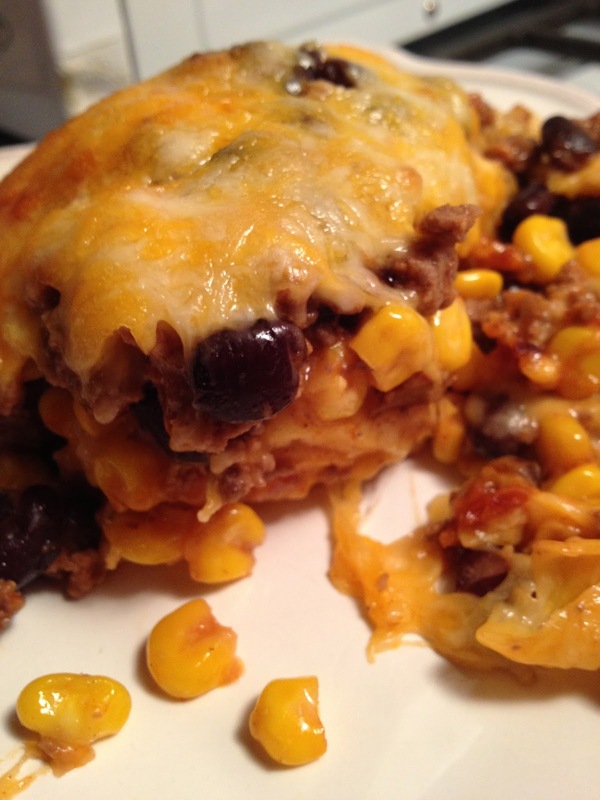 One of our favorite casseroles is this delicious Enchilada Casserole that was a great Pinterest find about a year and a half ago! We usually make this about twice a month! It's a great "use what you have" recipe because there are so many good flavors happening that a substitution or two does not matter one bit! You can also make this as healthy or decadent as you wish! We like ours a bit on the hearty side with lots of cheese!!! 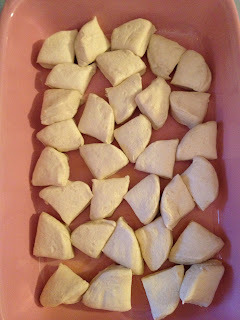 Remove from oven and allow to cool for about 5 minutes before serving!!! YUM! You will not be disappointed by this casserole! 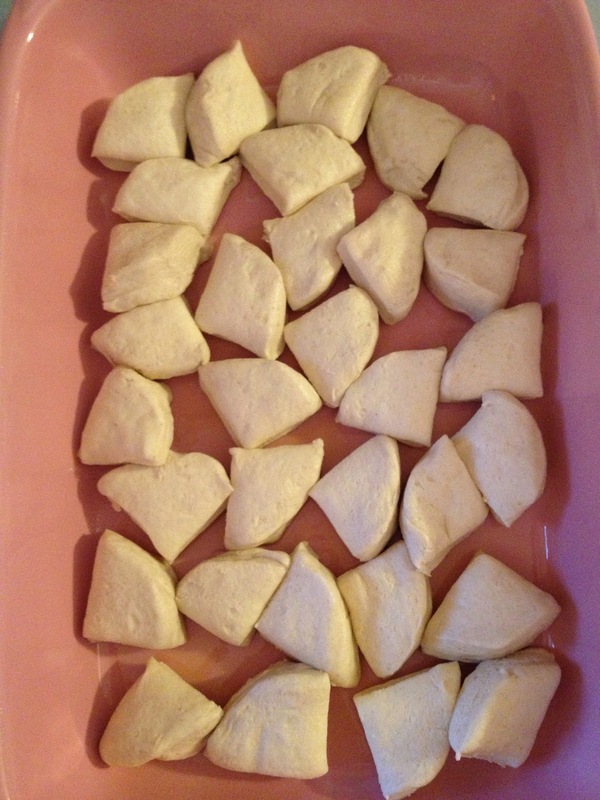 And like I mentioned at the top, you can use what you have or make substitutions to suit your taste. For example you could replace the ground beef with lean ground turkey! You can use any other type of bean you have in your pantry (pinto beans would work well), but I just happen to like black beans best. 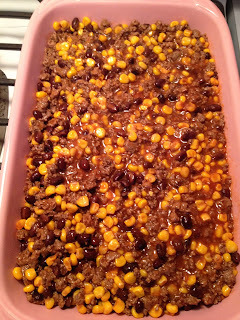 Instead of frozen corn you can use canned corn or even eliminate it and throw in something else. 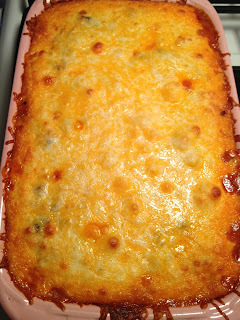 Add onions or diced green chilies to this casserole for a bit more flavor!